As many of us are dedicated offroad enthusiast, our trucks may change over the years but our desire doesn't wain. Once we've found a great setup, it's hard to leave that setup because of a new platform. Third and Forth Gen Dodge 2500/3500's have stayed pretty consistent over the past decade but there have been some small changes and upgrades along the way. 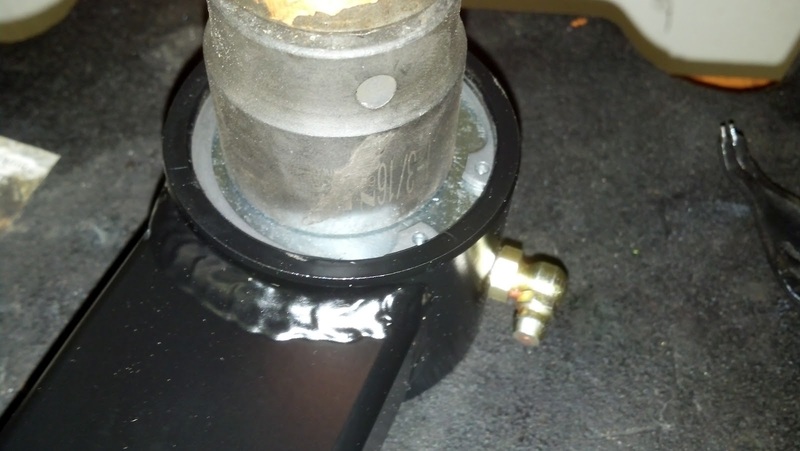 This can make transferring over your suspension from your old truck to new truck a little more labor intensive than simply unbolting and rebolting. 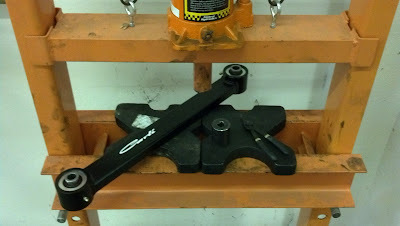 One area where this is most notable is in the lower control arms. 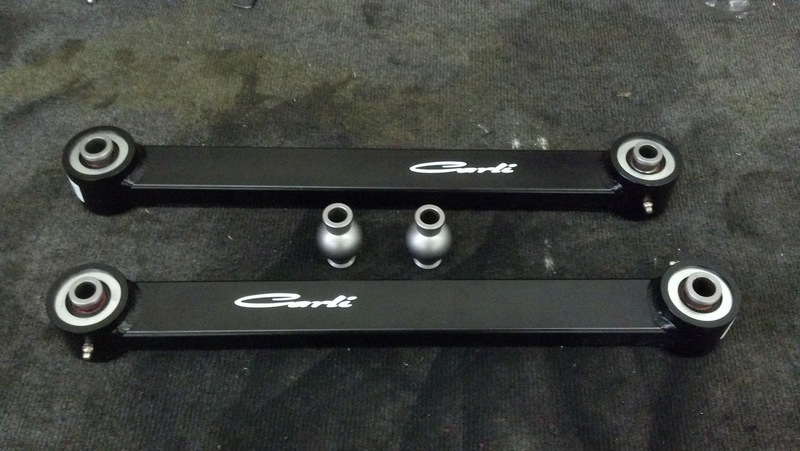 With 4th gen Dodges, the lower control arm caster bolt increased in size. With that in mind, 3rd gen Carli Suspension Control Arms won't fit! Luckily, Carli Suspension offers johnny joint upgrade kits for converting your 3rd gen arms to 4th gens. Below you'll find the process for changing out the joints. This exact same process applies if you want to rebuild or recondition your arms after a few hard years of mobbing and hucking the truck. We're using a new set of arms here but the process works all the same. Pictured you'll see the control arms and 2 new johnny joints. Third gen trucks have a bolt that is 14mm while the 4th gen trucks use a 16mm bolt. Tools needed for the job are.. The joint that needs replacing will be the axle side. This will be the end that has the 90 degree zerk fitting on it. 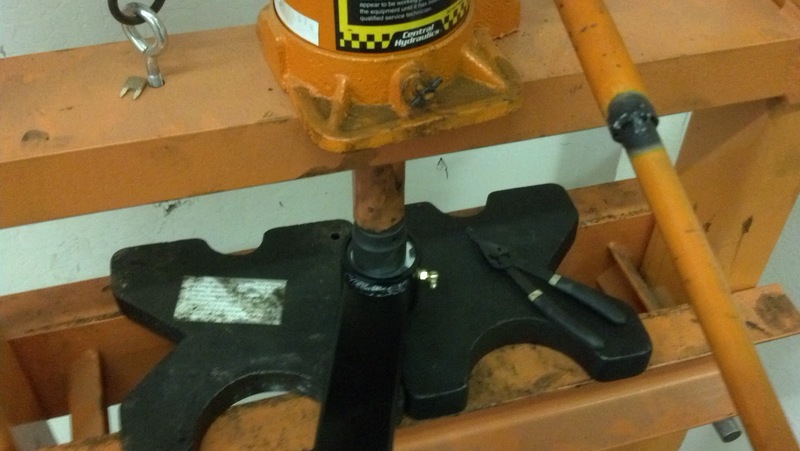 Take your tools and one control arm over to the press. Place the axle side joint under the press with the arbor plates positioned to let the joint sit between the plates but hold the control arm on the plates. You want the snap ring side to face upward. Put the socket over the joint so that it covers the joint but doesn't interfere with the snap ring. 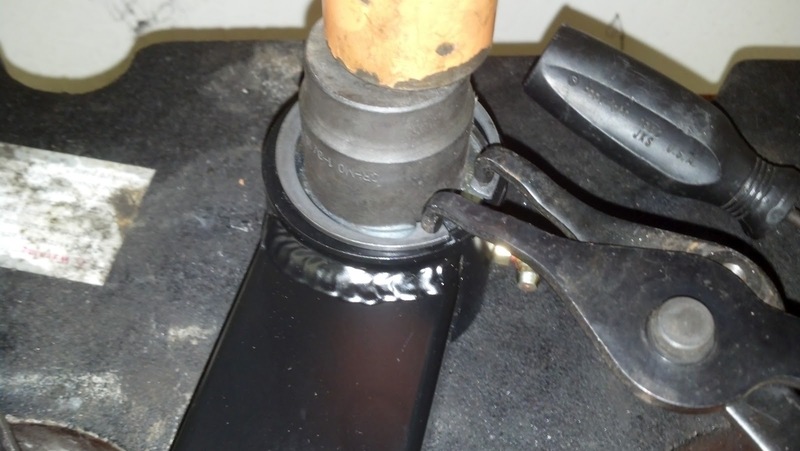 Put pressure on the silver washer so that it lightly compresses the joint in order to take some pressure off of the snap ring for easy removal. Once the snap ring is removed, remove the control arm from the press and flip around. The silver washer should fall out with the rest of the joint staying in place. 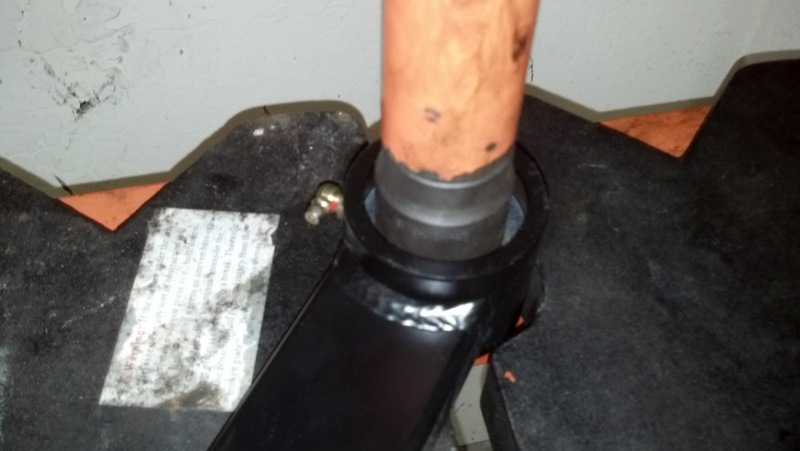 Adjust the arbor plates as needed so that only the joint housing is resting on them while leaving room for the joint ball and bushing to be pressed through. Place the control arm with the snap ring side down and place the socket overtop of the joint, being sure that it is not hitting the joint and resting only on the silver washer. Here is what the joint assembly consists of. At this point, take your new johnny joint and put on a layer of Redline CV-2 grease. Now is also a good time to clean off any old grease and debris and lube everything up. 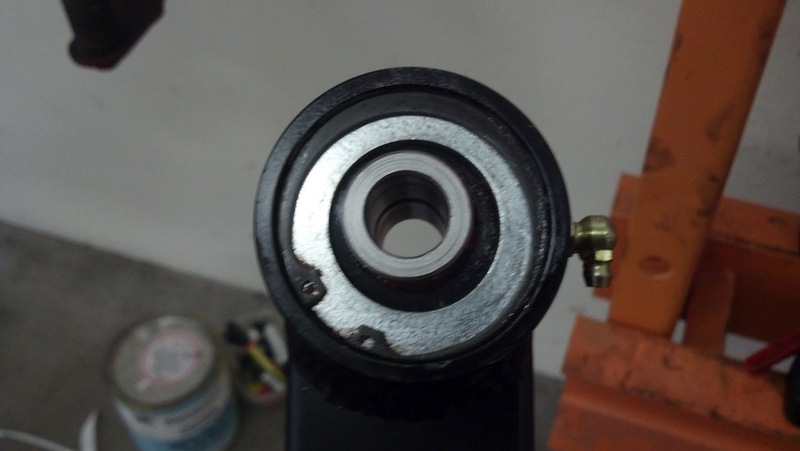 Once done, put on both bushing sides and make sure that they are properly aligned. 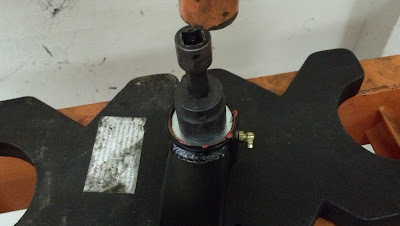 In the photo below, you can see how the bushings are positioned and only lay flush against each other one way. 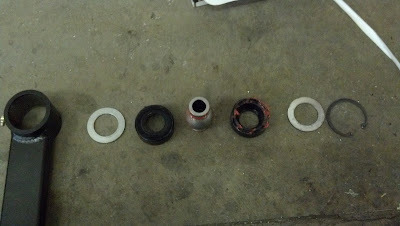 The photo shows them slightly separated to give better definition to the alignment of the bushing halves. 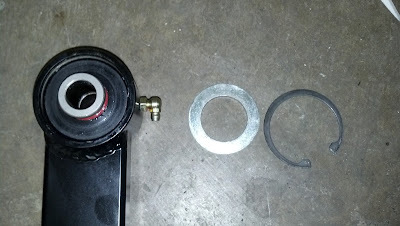 With your control arm in hand, put the snap ring side facing up and drop a silver washer. Set the bushing/joint assembly on top of the control arm and place the other silver washer on top. It will not fall into place and will need to be pressed in with the socket. 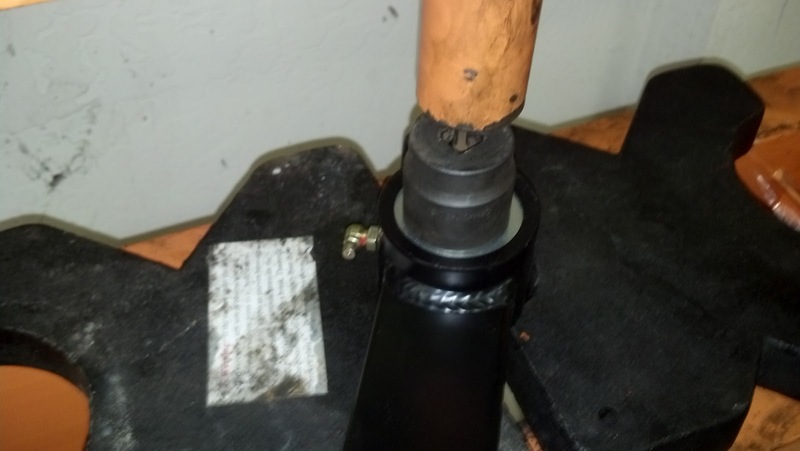 PAY CLOSE ATTENTION while pressing in the joint to make sure it goes in square or this can damage the bushings!! After the assembly is pressed in, check to make sure everything is square and in good shape. Add a little more pressure to the press so that the silver washer goes just slightly below the snap ring groove. Insert the snap ring and take the control arm out of the press. Tada! You've now successfully changed our and serviced your control arm. Be sure to top off your control arm with more grease. 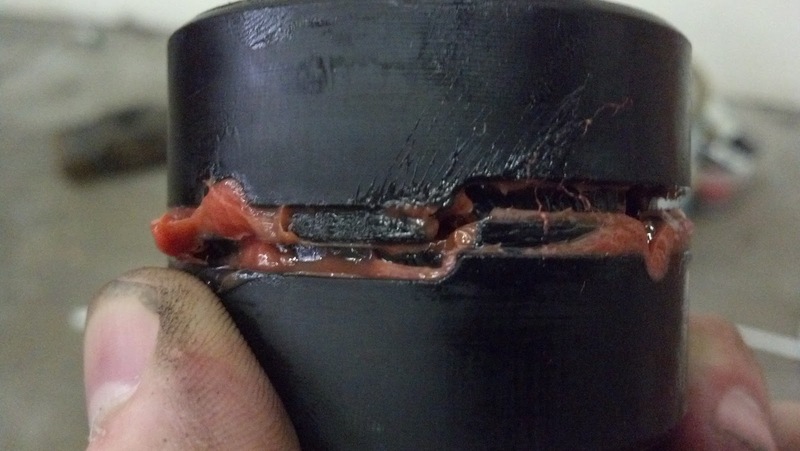 If you greased before, a couple pumps should be sufficient but be sure not to over grease as this can do more damage than good. To do one joint, it takes about 10-15 minutes depending on your skill and tools so if you're doing all of your joints, give yourself a few hours, especially if the arms are still on the truck. 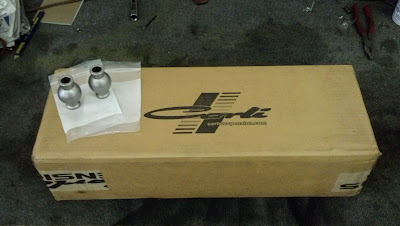 As always, we at Strapt Performance have a passion for Carli and Dodge suspension. 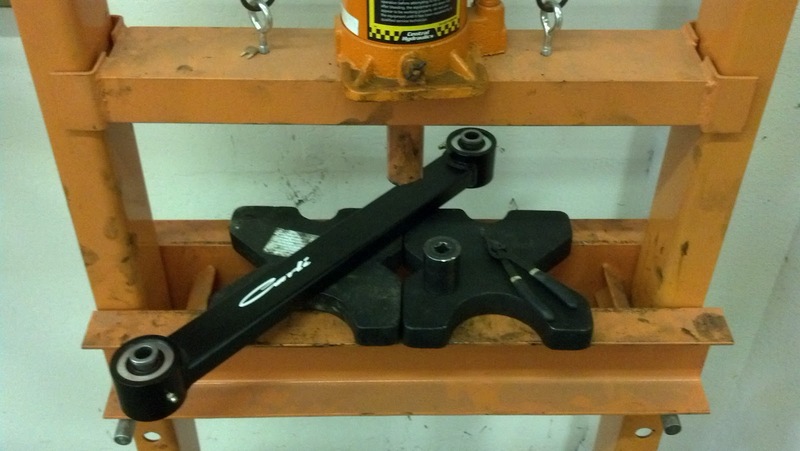 We're here to help and hopefully this write-up can guide you along with the maintenance of your wicked awesome control arms! If this is something that you're unsure about or would rather have us do it, give us a call and we would be more than happy to assist. Looks like I did mine right then, Thanks Radio !! Right on, glad to hear it went smoothly for you! It's not hard to do at all with the a press but does take a little bit of time.